Achieve a non-surgical facelift with PDO threads! 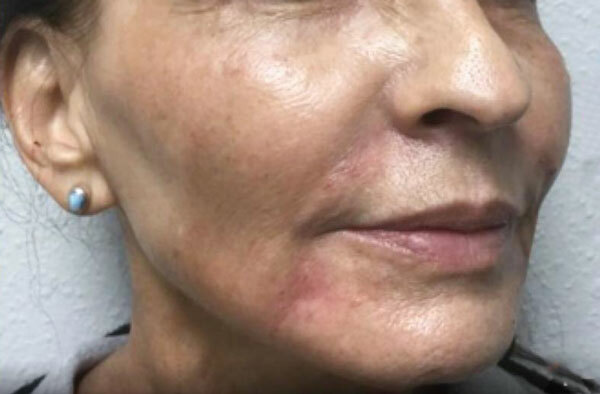 A PDO thread lift treatment is a minimally invasive procedure that lifts and tightens sagging skin tissue using threads made of Polydioxanone (PDO). The threads are inserted into the treatment area by needles, penetrating different layers of the skin and anchoring into the desired spot, lifting the skin upwards and tightening the face. What are the effects of PDO Thread Lift? The effects of a PDO thread lift are threefold: instant skin lifting, stimulation of collagen production and cellular renewal that improves skin texture, and skin tightening. The threads will dissolve about 6 months after the procedure, at which point your new collagen production will already be underway. What areas can be treated with a PDO thread lift? PDO threads can be used in a variety of areas, including: Eyebrows, crow’s feet, cheeks, nasolabial fold, naso jugal folds, neck, jowls, jaw line, and around the mouth. How long do PDO thread lift results last? Because PDO threads stimulate collagen production, the results from your lift will last long after the threads dissolve. Most patients report their results lasting between 12-24 months, and you can always go back for additional treatment to maintain your results for even longer. A PDO thread lift is a medical procedure that requires specific training, knowledge, and skill to ensure safe and natural-looking results, so you want to make sure that you choose a provider who’s been trained appropriately. Academic Alliance In Dermatology has certified providers who specialize in PDO thread lifts at our Webb and Kennedy locations. Call us at (813) 514-4711 or fill out our online form to book your appointment now.